Nearly every Montana employer takes discrimination seriously and strives to keep it out of the workplace. But sometimes even the best intentions aren’t enough. A recent case from the Montana Department of Labor and Industry’s (DOLI) Office of Administrative Hearings (OAH) should serve as a stark reminder that the details are critical. If an employee alleges discrimination, your investigation should be thorough and consistent, and your remedy must be adequate. If the employee who is the target of the alleged discrimination has unrelated performance issues, you must be careful about the timing of any disciplinary measures and ensure that they’re completely unrelated to the employee’s reporting of the bias. Pierce Companies Group, Inc., employed Robert Healy, who is a Native American, as a carpenter on a set-up crew for its manufactured housing operation. The company had robust antidiscrimination and disciplinary policies. At the time of Healy’s hire, new employees were subject to a 90-day probationary period, and the company typically provided workers with three written warnings before terminating their employment. During a trip to an out-of-town jobsite, Healy went to dinner at a local bar with coworker Russ Mahan, who had encouraged him to complain to management about Ebel’s behavior. The supervisor entered the bar and sat near the door. When Healy and Mahan got up to leave, Ebel motioned for Mahan to join him. The supervisor then told Mahan he had to pick a side, which both Healy and Mahan interpreted as a threat against Mahan’s employment if he sided with Healy in a dispute against Ebel. The next day, when Healy and Mahan reported to the job site, Ebel told Mahan to load up the trailer and sent him and Healy home even though there was additional work to perform. Ebel then reported to his own supervisor that he had sent Healy home because he wasn’t working and was on his cell phone constantly. After that incident, Healy complained to Pierce management about Ebel’s use of offensive, discriminatory language at the out-of-town jobsite. In response, the company assigned Healy to work on its lot to avoid further interaction with the supervisor. The company also initiated an investigation. It asked Mahan to write a statement—which corroborated Healy’s account of Ebel’s use of racial epithets—but never interviewed Healy or obtained a written statement from any other witnesses. Pierce also decided to extend Healy’s probationary period from the customary 90 to 150 days. It did so because of management’s observations about his job performance—which was considered less than average—but also in part because of his complaint against Ebel. Specifically, the employer didn’t believe it could rely on the supervisor’s reports about Healy’s job performance given the employee’s allegation of discrimination. Otherwise, it would have fired him for poor performance. Based on the investigation, Pierce issued a written warning to Ebel. Just three days later, it also issued a written warning to Healy for frequently reporting to work late over the past two weeks. That was the employee’s first warning. About a month later, Pierce decided to fire Healy even though it typically gave three written warnings before terminating an employee. One of its HR executives e-mailed Associated Employers—an HR company—noting that Pierce had been “walking on eggshells” with Healy for several months “due to” an earlier Equal Employment Opportunity Commission (EEOC) complaint he had filed over the company’s refusal to let him wear his hair long because of his religious beliefs. Based on the facts established at a contested case hearing, OAH concluded that Pierce had subjected Healy to a hostile work environment. Most important, however, the law provides an affirmative defense to such a claim involving a supervisor if the employer can show it exercised reasonable care to promptly correct and prevent the harassing behavior. In short, the remedy must have been reasonably calculated to end the harassment. Pierce was unable to take advantage of the affirmative defense. OAH acknowledged that once management had knowledge of Healy’s accusations, it acted to correct the situation. After initially assigning the employee to work on the lot, however, the employer sent him on another out-of-town job with Ebel, who again targeted him with racial epithets. Thus, OAH found the employer failed to act reasonably to prevent the harassment and wasn’t entitled to invoke the affirmative defense. OAH also found that Pierce retaliated against Healy for engaging in protected activity. After the employee reported Ebel’s harassment, the employer took adverse employment action against him by extending his probationary period, issuing two written warnings, and terminating his employment within approximately a month of his complaint. Although the employer articulated a legitimate, nondiscriminatory reason for its actions—Healy’s substandard performance was supported by four witnesses, and two others observed him using his cell phone in a manner that violated company policy—the fired employee was able to prove the company’s reasons were a pretext, or an excuse, for discrimination. Specifically, OAH pointed to three facts that tilted the scales in Healy’s favor: (1) Pierce’s witnesses testified inconsistently about important issues such as who was involved in the termination decision, (2) the company’s limited-scope investigation was “troubling,” particularly because Healy was never interviewed, and its HR executive testified that Mahan retracted his statement even though he denied doing so, and (3) the e-mail to Associated Employers suggested an animosity toward Healy based on his initial EEOC complaint. Based on the findings, OAH awarded Healy back pay with interest, one-year of front pay, and emotional distress damages. Healy v. Pierce Companies Group, Inc. If an employee complains about discrimination or harassment, you should conduct a thorough investigation, interview all witnesses (including the complaining individual), and thoroughly document everything. If you have reason to believe an employee is being harassed, act immediately to prevent the misconduct from continuing. A temporary fix or a solution that could expose the employee to continued harassment will not suffice and will result in the employer forfeiting possible defenses to liability for a hostile work environment claim. Be very careful to avoid linking any adverse employment action to an employee’s harassment or discrimination complaint, even if the tie is indirect. 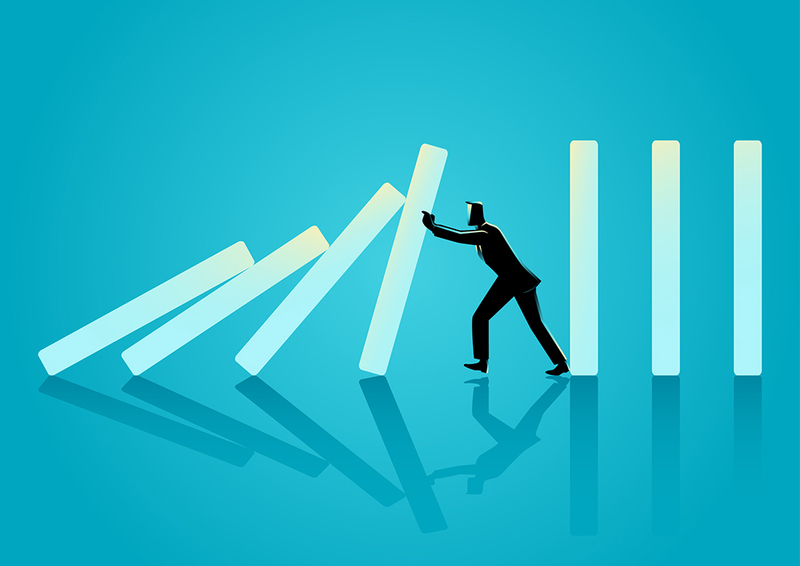 Similarly, if an employee who has engaged in protected activity is having separate job-related issues that would otherwise justify discipline or termination, you must carefully consider the timing of any adverse action. The timing alone can result in an inference of pretext and retaliation, no matter how much you can justify the discipline or termination. Michael Manning is a partner with Ritchie Manning LLP in Billings and contributes to the Montana Employment Law Letter. You can reach him at mmanning@ritchiemanning.com.